Vasseth Strike Tank and Reaction Force released by Loud Ninja Games! "Vasseth “Cunning Killer”. Named for a genetic descendant of terrestrial predatory dinosaur (something akin to a 30ft raptor), the Vasseth strike tank uses grav drive to allow it to speed across the battlefield, manoeuvring for pinpoint strikes and support of the fast-moving infantry. The Vasseth comes in a number of variants. Degara – Two accelerator cannons. This variant is utilized for fighting medium armoured vehicles and hard points. Paragara – Plasma cannon and drone missile launcher. This variant is mostly used for infantry support. 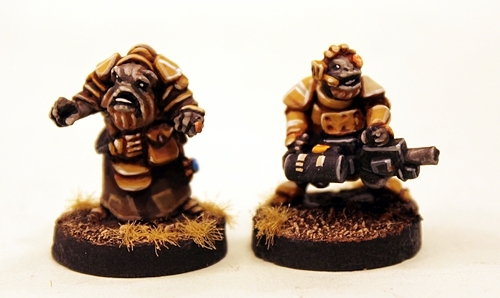 Heggar – Heavy accelerator cannon. Used for long range engagement of heavy targets." 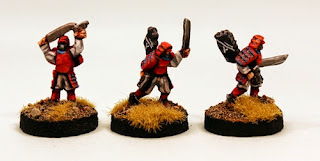 Produced and sold across the world by 15mm.co.uk the Loud Ninja Games range continues to go from strength to strength and now adds three more codes to the Chuhuac 15mm Space Raptor part of the range. 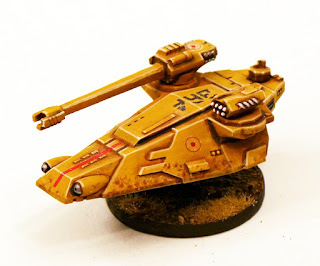 Following up on infantry packs, drones, grav bikes, an armoured personnel carrier and platoon and herd packs there is the Vasseth Strike Tank a light grav vehicle which gives your Space Raptors even more bite on the battle board! Read on or click here to go to our website and to see the range HERE. This pack contains all the parts needed to make one 15mm scale Space Raptor Vasseth Strike Tank. This anti-gravity propulsion vehicle requires some assembly and has seven different weapons and sensor units included (70mm long). 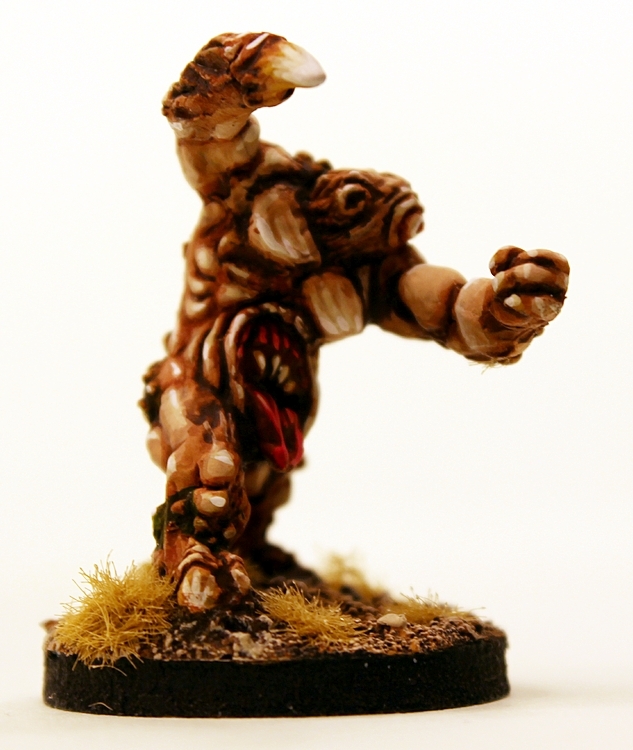 Cast in high quality resin and white metal and gives you extra pieces for conversions and your bits box. 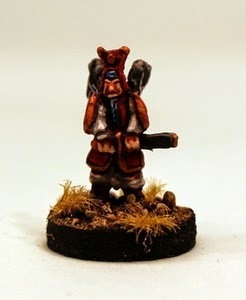 Great for all your near or far future skirmish and battle games in 15mm scale. Go HERE. VALUE PACK. SAVE 5% OFF - Compared to RAP027. 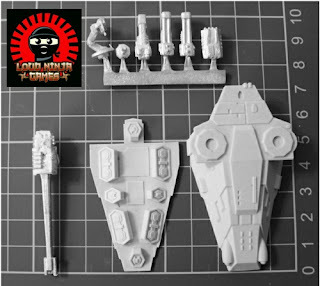 This pack contains all the parts needed to make THREE 15mm scale Space Raptor Vasseth Strike Tanks. This anti-gravity propulsion vehicle requires some assembly and has seven different weapons and sensor units included (70mm long). Cast in high quality resin and white metal and gives you extra pieces for conversions and your bits box. 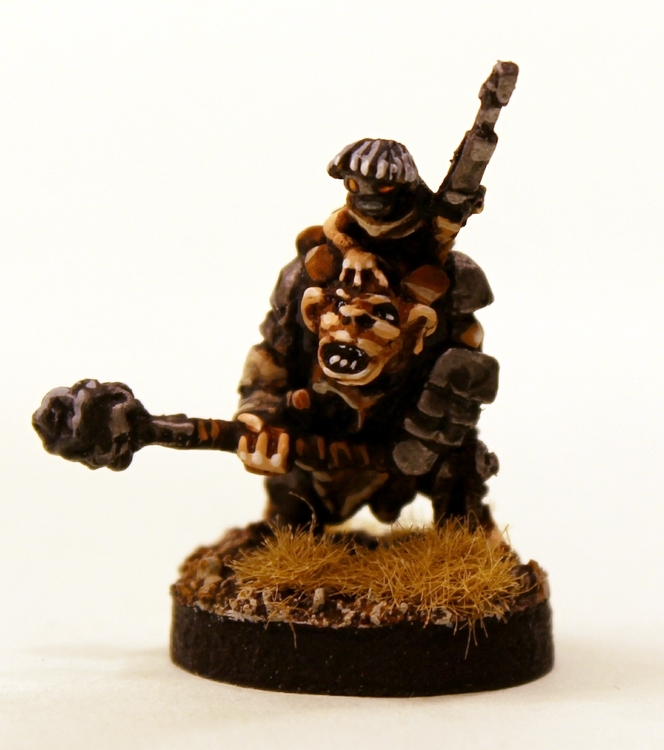 Great for all your near or far future skirmish and battle games in 15mm scale. Go HERE. VALUE PACK. SAVE 10% OFF – Compared to single pack codes. 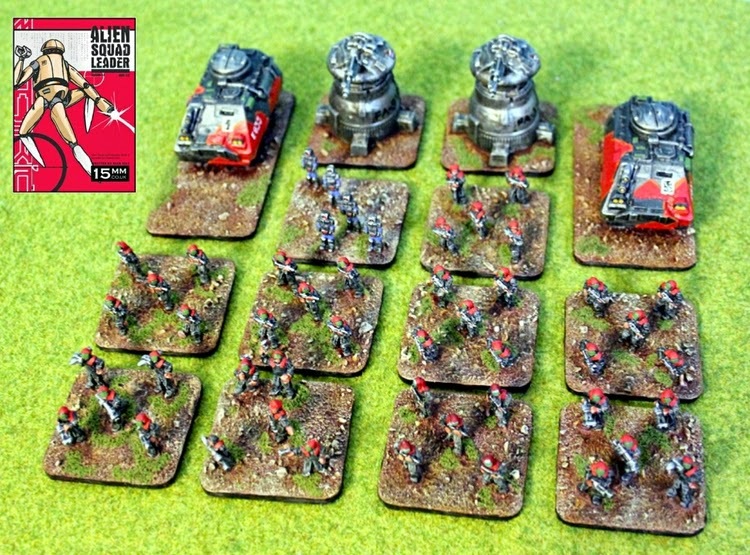 This bundle deal gives you all the packs you need to create a Chuhuac Reaction Force which is an entire force of infantry, bikes and vehicles on your wargaming table. 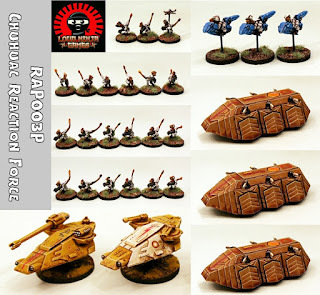 Saving ten percent from list prices the bundle includes the following packs: RAP027 Vasseth Strike Tank, RAP027 Vasseth Strike Tank, RAP008 Sirrus APC, RAP008 Sirrus APC, RAP008 Sirrus APC, RAP001 Chuhuac Troopers (6), RAP001 Chuhuac Troopers (6), RAP002 Chuhuac Leaders and Support Weapons (6), RAP003 Chuhuac Command Section (4) and RAP009 Chuhuac Grav Bikes (3). A total of five vehicles, three bikes and twenty two infantry. 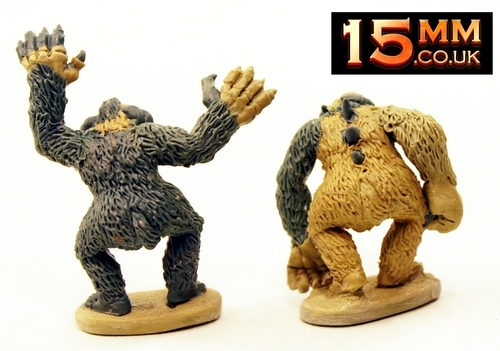 Great for all your near or far future skirmish and battle games in 15mm scale. Go HERE. If you are not familiar with the Space Raptors and Eli Arndt's ideas for a unique alien army and its uses we have several articles online you can read. Here is a list of links. 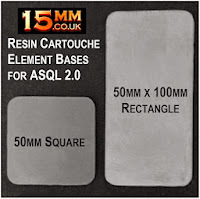 The fantastic and unique 15mm scale generic science fiction element base rules system Alien Squad Leader (ASQL) 2.0 is now back in stock at 15mm.co.uk. Written by Alex Self and published in 2009 it is a high quality A4 format perfect bound book with several perforated pull out or copy reference sheets at the rear. Made in Scotland it is priced at 12.00GBP. Unlike other 15mm scale science fiction systems it is totally and I mean totally generic with army templates for anything from Human Colonial to Mechanoids, Hive Mind, Alien Greys, Outlaw Gangs and more! To that end you can visit the ASQL page on the website HERE. Or read on for an account of what is in the book followed by web links to resources and reviews for free. 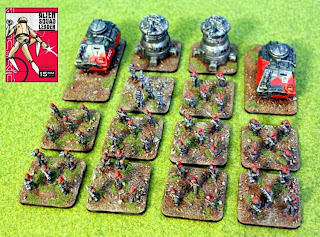 Squad Level Wargame Sci-Fi Rules with an emphasis on the ordinary troops not Heroic Characters. Simple Game Mechanics that are easy to understand but which reward careful play. 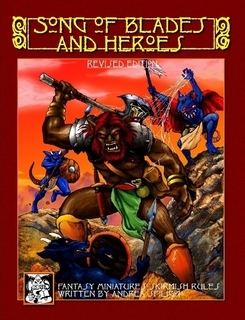 Includes six pick up and play scenarios with clear and challenging victory conditions. The ASQL 2.0 rulebook is perfect bound and has eighty pages and several perforated pull out token and reference sheets. Get into one of the finest 15mm sci-fi rule sets on the market! WITH ALIEN SQUAD LEADER IT’S TIME TO TAKE THE SIDE OF THE ALIENS! 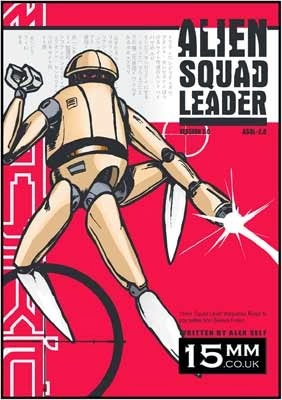 In Alien Squad Leader, you can advance into battle with the pitiless bugs of the Hive Mind, the multi-legged Tripods, the cyborg infantry of the Enslavers, the mythical fighters summoned to serve the Children of the Gods, and many, many, other alien races. Or on the other hand, maybe you prefer the forces of humanity? There’s never been a better time to experience this exciting and fast paced squad-level wargame for any 15mm science fiction miniatures. 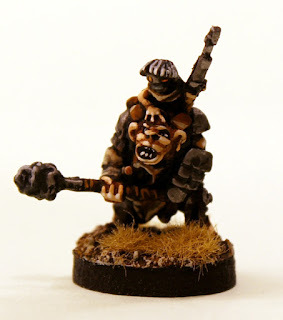 All miniatures are assembled into units on element bases and into an army built on points. 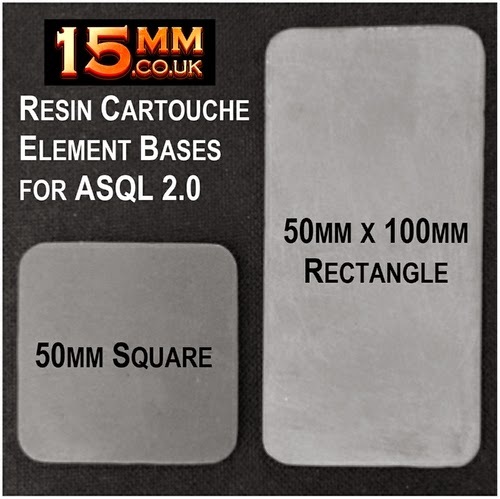 The rules use two sizes of element base 50mm square and 100mm by 50mm rectangle. Go HERE. Review, Group and Free Files Online! You can download the ASQL2.0 Errata File from our dropbox account by clicking HERE. There are many online references to this rules system across various platforms and you are are free to search for them dating back to 2009 however one of our favourites is the Dropship Horizon review of ASQL2.0 written by Mark which is greatly respected. You can see that HERE. There is an online ASQL community located on Yahoo Groups. You can go to it HERE and join up to talk about the game. Our sister brand Alternative Armies has brought what we think is one of the best white metal Dragons ever back in production. 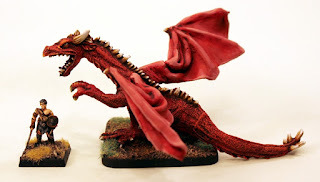 P11 Old English Dragon dates from the 1980's and we thin it is totally suitable as a Grand Dragon or a Titanic Monster in 15mm scale too. 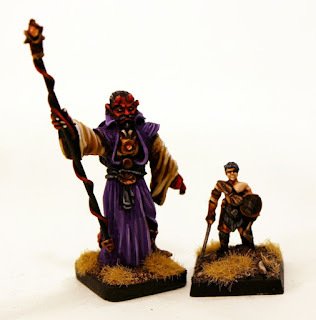 To that end we have put it on our website in the HOT 15mm Fantasy Range and have a short article here showing it alongside 15mm scale miniatures. Go HERE or read on. 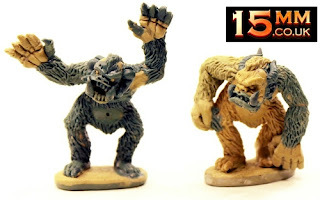 This classic 1980's monster is brilliant even by today's standards. Full of detail and expression it is a creature of rage and power. It is composed of five white metal parts these being the body, a foot, the tail and two wings which are straight forward to assemble. 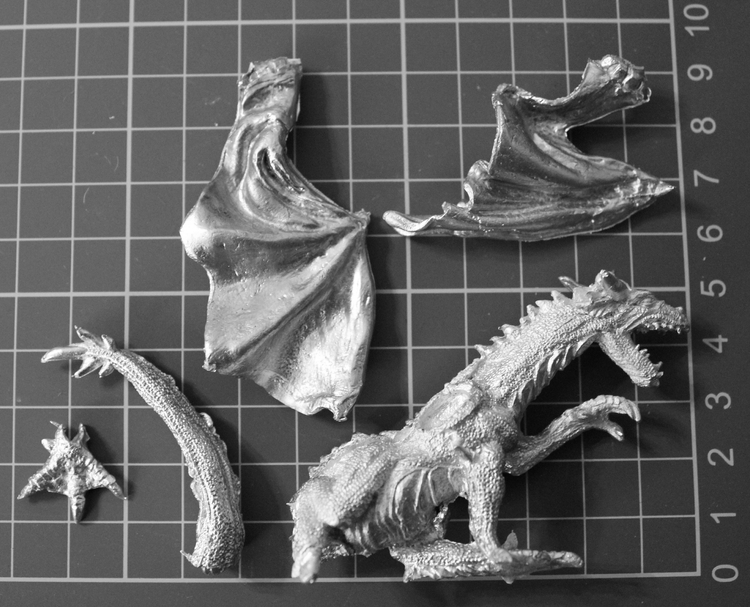 Once assembled the Dragons stands about 55m tall, 100mm or so across and about 110mm long including the tail. 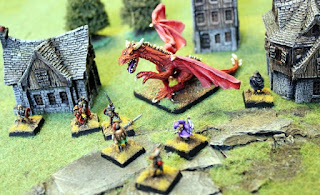 Suitable for any fantasy campaign and rules system and it belongs with you if you collect Dragons as well. You have the choice of purchasing one kit or three kits from the drop down product menu which gives you a 10% saving. 20.00GBP. Go HERE. 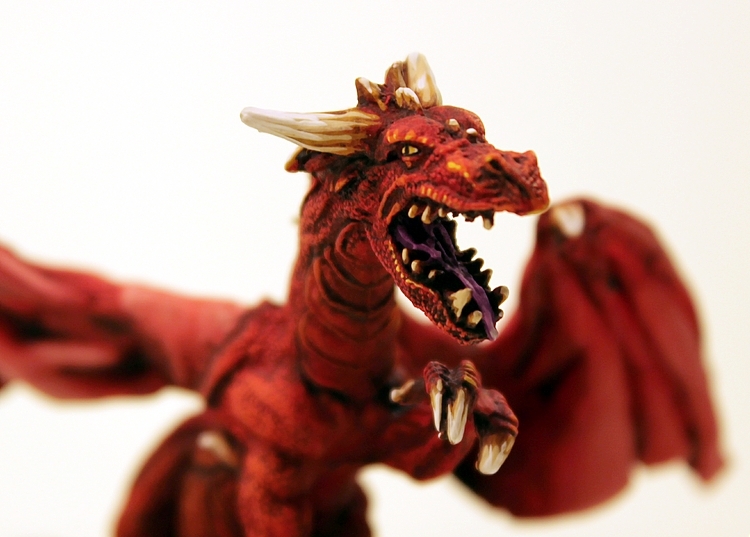 You can see the parts of this Dragon model placed on a 1cm grid of square above. Below are pictures showing the Dragon on the wargaming table alongside our TTF Fantasy Human miniatures (about 15mm to 17mm tall each) for scale and our HOB1 Human Buildings Set too. 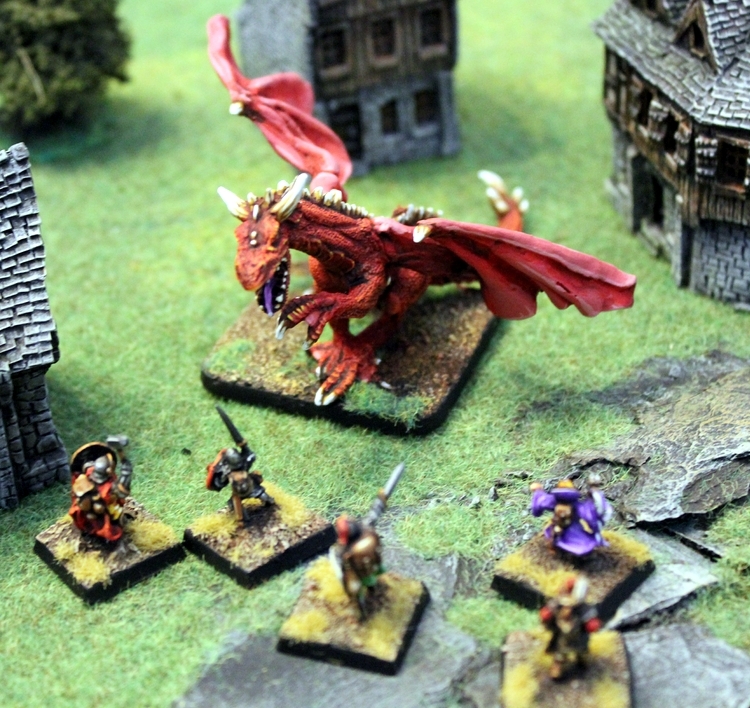 You can read the release announcement for Alternative Armies on this Dragon HERE. ASQL2.0 Alien Squad Leader back in stock next week! Over the last year Alternative Armies and by extension its sister brands 15mm.co.uk and The Ion Age have seen a surge in the sales of printed books across our ranges. This is great news and was rather unexpected. As a result we sold out of several titles and had to set a schedule for re-prints and bringing in new stock. We have nearly completed this project and now it is the turn of Alien Squad Leader ASQL2.0 by Alex Self to be brought back into print. In agreement with Mr Self we will be keeping ASQL2.0 in print only and not as a PDF or download title. It will remain at its current price (12.00GBP) with no increase and it will be remain a high quality perfect bound book made right here in Scotland. You can visit the ASQL page of our website HERE. Alien Squad Leader is a unique system. It really is. 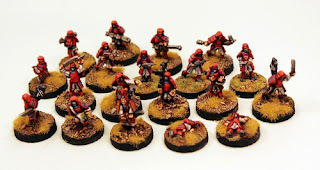 Unlike other 15mm scale science fiction systems it is totally and I mean totally generic with army templates for anything from Human Colonial to Mechanoids, Hive Mind, Alien Greys, Outlaw Gangs and more! 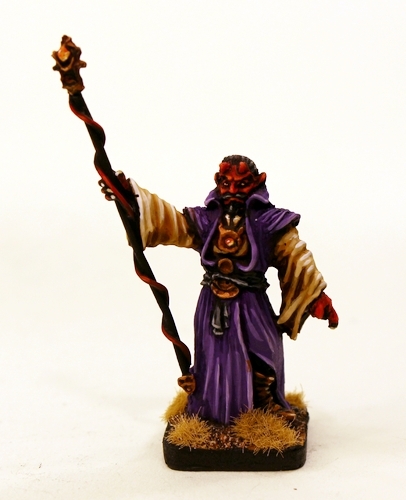 Element Based it can use any miniatures and be tailored to your own universe. Read about it and order once back in stock. ASQL2.0 will be back in stock on our website on Wednesday 11th 2015 and we will make an announcement then. 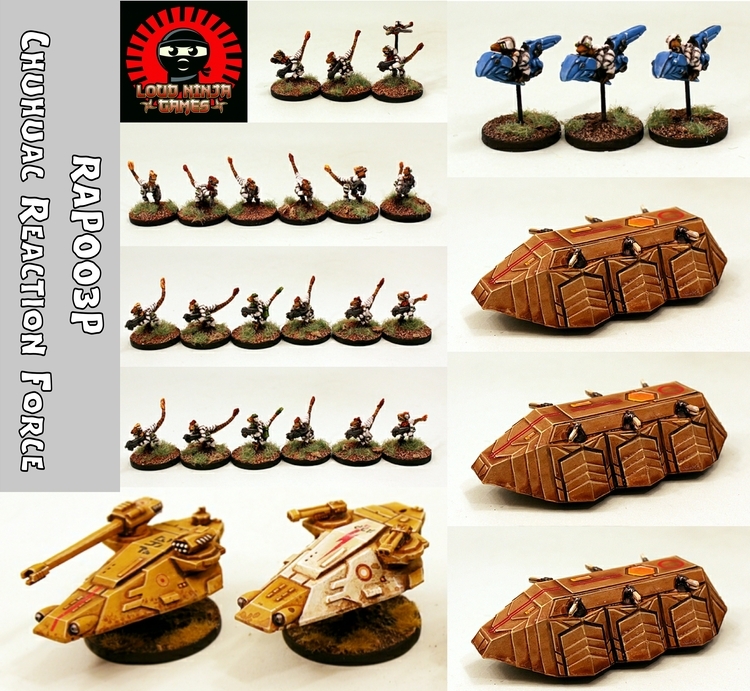 New 15mm Grav Vehicles and Value Pack by Sergio Gonzalez released! Back in the spring the SHM Range welcomed a new designer and a new 15mm scale resin vehicle. 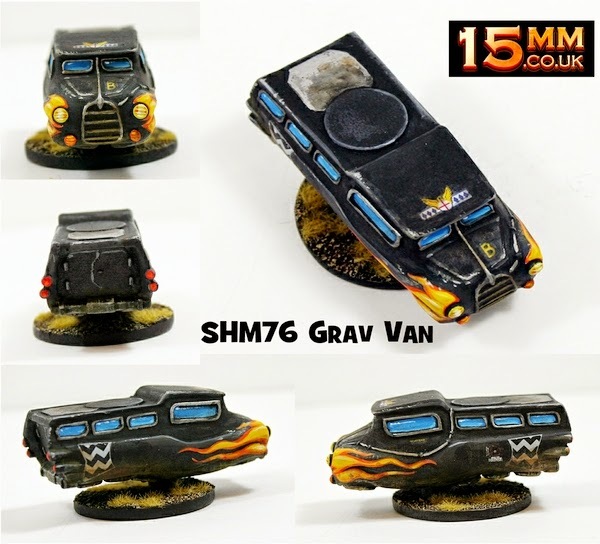 The vehicle was SHM76 Grav Van and the designer was Sergio Gonzalez. Now we have two more 15mm scale resin vehicles from Sergio to go alongside that first one. 15mm.co.uk is proud to present not only SHM82 Grav Taxi but also SHM83 Grav Police Cruiser and a value pack with saving containing all three of the vehicles! Well done Sergio! Read on for details or go HERE. 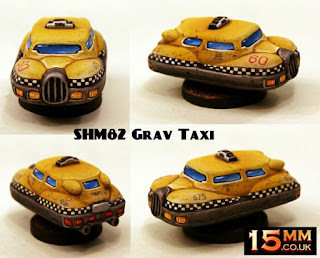 This code contains a one piece high quality grey tone resin vehicle in 15mm scale. A Grav Taxi in a retro futuristic style designed by Sergio Gonzalez. Its dimensions are 40mm long, 30mm wide (at widest point), 21mm tall (at its tallest point). Suitable for use in many settings from near future to space opera and wastelands too. Choose from one pack or three packs with a 10% saving on the drop down product menu. Go HERE. This code contains a one piece high quality grey tone resin vehicle in 15mm scale. 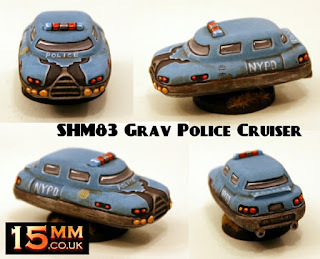 A Grav Police Cruiser in a retro futuristic style designed by Sergio Gonzalez. Its dimensions are 50mm long, 30mm wide (at widest point), 22mm tall (at its tallest point). Suitable for use in many settings from near future to space opera and wastelands too. Choose from one pack or three packs with a 10% saving on the drop down product menu. Go HERE. The first Grav code contains a one piece high quality grey tone resin vehicle in 15mm scale. A Grav Van in a retro futuristic style. Its dimensions are 65mm long, 28mm wide (at widest point), 25mm tall (at its tallest point). Suitable for use in many settings from near future to space opera and wastelands too. Choose from one pack or three packs with a 10% saving on the drop down product menu. Go HERE. 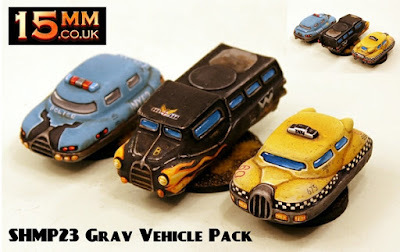 This code contains three one piece high quality grey tone resin vehicles in 15mm scale. A Grav Van, Grav Taxi and Grav Police Cruiser all in a retro futuristic style designed by Sergio Gonzalez. The vehicles range from 40mm to 65mm long, 28mm to 30mm wide and around 20mm to 25mm tall. They are great for near future, space opera, alternate world, post apocalypse and more settings. This pack saves you 15% off single purchase of SHM76,SHM82,SHM83. You also have the option of purchasing three of these packs saving an additional 10% off the pack prices using the drop down product menu on the page. Go HERE. These vehicles are excellent for getting you into your gaming element! 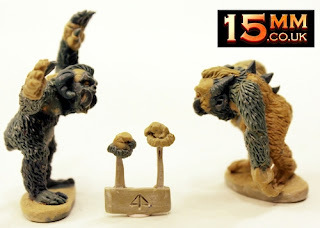 15mm.co.uk has updated its deals and offers for November 2015 and you can find all of these special priced products HERE. 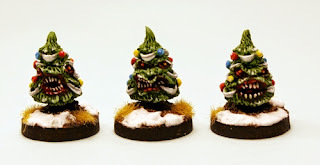 We will be taking part in the great Black Friday Weekend offer at the end of this month alongside our sister websites Alternative Armies and The Ion Age. More details nearer the time but it will be over the last weekend in November and it will feature new products still to come this month and it will be a great way to get your winter fix for wargaming in 15mm scale...the best scale!